2. 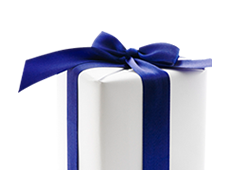 Gifts Gift vouchers are not redeemable or exchangeable for cash. 3. Price List Daydreams Skin and Body Therapy reserve the right to change prices and treatments, with or without prior knowledge to you, written or otherwise. Any amend to the treatments or price list will become effective as soon as the system is put in place, which may be before it is listed on the website. 4 Booking Service The information entered on the online booking diary is not used for any marketing purposes. It is not shared with any third party and no one has access to it other than Sara Esler and our website providers in order to provide technical services to Daydreams Skin & Body Therapy. 6. Modifications to the Site We reserve the right to modify the Site or to change or discontinue any of the services offered on the Site with or without notice to you. We shall not be liable to you or to any third party should we exercise our right to modify the Site or to change or discontinue our service offerings. If you object to any change to the Site or our services, your sole recourse will be to discontinue using the Site. Your continued use of any modified service on the Site will indicate your consent to such changes. 7. Restricted Activities You agree not to use the Site to: (a) violate or encourage the violation of any local, national, or international law; (b) stalk, harass, or harm another individual; (c) impersonate any person or entity, or otherwise misrepresent your affiliation with a person or entity; (d) interfere with or disrupt the Site or services or networks connected to the Site, or disobey any requirements, procedures, policies, or regulations of networks connected to the Site. You agree not to use the Site, including the booking system and email information, to send any message that is unlawful, libelous, defamatory, abusive, sexually explicit, threatening, vulgar, obscene, profane, racially offensive, or otherwise objectionable, as determined by Daydreams Skin & Body Therapy in its sole discretion. 11. Termination We may terminate your use of the Site without prior notice for any reason, in our sole discretion, including without limitation, if we believe that you have violated these Terms. You may discontinue your access to the Site at any time. 12. Medical Disclaimer We make an effort to provide quality information to you. 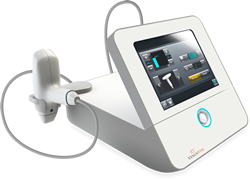 Daydreams Skin and Body Therapy disclaims any implied guarantee regarding the accuracy, completeness, timeliness, or relevance of any Daydreams Skin and Body Therapy Content. The Daydreams Skin and Body Therapy Content is not a diagnosis, treatment plan, or recommendation for a particular course of action regarding your health and is not intended to provide specific medical advice. It remains your responsibility to evaluate the accuracy, completeness, and usefulness of all Daydreams Skin and Body Therapy Content. The Daydreams Skin and Body Therapy Content is not a substitute for the diagnosis and advice of your health care professional and the Daydreams Skin and Body Therapy Content must not be used in place of such diagnosis and advice. Do not delay seeking the diagnosis and advice of your health care professional because of anything you may have read or interpreted in the Daydreams Skin and Body Therapy Content. Consult your health care professional before practicing any recommendations or acting on any Daydreams Skin and Body Therapy Content. The Daydreams Skin and Body Therapy Content is not to be interpreted as advocating the self-management of your medical condition(s) or those of your family. YOU ACKNOWLEDGE THAT DAYDREAMS SKIN AND BODY THERAPY IS NOT ENGAGED IN THE PRACTICE OF MEDICINE AND THAT ALL DECISIONS MADE USING THE DAYDREAMS SKIN AND BODY THERAPY CONTENT WILL BE THE EXCLUSIVE RESPONSIBILITY OF YOU AND YOUR PHYSICIAN. DAYDREAMS SKIN AND BODY THERAPY, INC. EXPRESSLY DISCLAIMS ANY RESPONSIBILITY OR LIABILITY FOR ANY ADVERSE CONSEQUENCES OR DAMAGES RESULTING FROM YOUR RELIANCE ON THE DAYDREAMS SKIN AND BODY THERAPY CONTENT. You agree, at your expense, to indemnify and hold Daydreams Skin and Body Therapy harmless from any and all losses, liabilities, or damages resulting from any and all claims, causes of action, proceedings, or demands against Daydreams Skin and Body Therapy arising from or related to decisions or recommendations you make using the Daydreams Skin and Body Therapy Content. 13. Disclaimer of Warranties YOU EXPRESSLY AGREE THAT USE OF THE SITE IS AT YOUR SOLE RISK. THE SITE IS PROVIDED ON AN “AS IS” AND “AS AVAILABLE” BASIS. DAYDREAMS SKIN AND BODY THERAPY MAKES NO WARRANTY THAT THE SERVICES PROVIDED ON THE SITE WILL MEET YOUR REQUIREMENTS, OR THAT THE SERVICES WILL BE UNINTERRUPTED, TIMELY, SECURE, OR ERROR-FREE; NOR DOES DAYDREAMS SKIN AND BODY THERAPY MAKE ANY WARRANTY AS TO THE ACCURACY OR RELIABILITY OF THE DAYDREAMS SKIN AND BODY THERAPY CONTENT OR THAT DEFECTS IN THE SITE OR THE DAYDREAMS SKIN AND BODY THERAPY CONTENT WILL BE CORRECTED. YOU UNDERSTAND AND AGREE THAT ANY MATERIAL AND/OR INFORMATION DOWNLOADED OR OTHERWISE OBTAINED THROUGH THE USE OF THE SITE IS DONE AT YOUR OWN DISCRETION AND RISK. 14. Limitation of Liability TO THE EXTENT PERMITTED UNDER APPLICABLE LAW, IN NO EVENT WILL DAYDREAMS SKIN AND BODY THERAPY OR ITS OFFICERS, EMPLOYEES, DIRECTORS, AFFILIATES, PARTNERS, AGENTS, ADVISORS, OR LICENSORS BE LIABLE FOR ANY INDIRECT, INCIDENTAL, SPECIAL, CONSEQUENTIAL, OR EXEMPLARY DAMAGES, INCLUDING BUT NOT LIMITED TO, DAMAGES FOR LOSS OF REVENUES, PROFITS, USE, DATA, OR OTHER INTANGIBLE LOSSES (EVEN IF SUCH PARTIES WERE ADVISED OF, KNEW OF OR SHOULD HAVE KNOWN OF THE POSSIBILITY OF SUCH DAMAGES, AND NOTWITHSTANDING THE FAILURE OF ESSENTIAL PURPOSE OF ANY LIMITED REMEDY), ARISING OUT OF OR RELATED TO YOUR USE OF THE SITE OR THE DAYDREAMS SKIN AND BODY THERAPY CONTENT, REGARDLESS OF WHETHER SUCH DAMAGES ARE BASED ON CONTRACT, TORT, WARRANTY, STATUTE OR OTHERWISE. IF YOU ARE DISSATISFIED WITH ANY PORTION OF THE SITE, YOUR SOLE AND EXCLUSIVE REMEDY IS TO DISCONTINUE USE OF THE SITE. 15. Exclusions and Limitations Some jurisdictions do not allow the exclusion of certain warranties or the limitation or exclusion of liability for incidental or consequential damages. Accordingly, some of the above limitations and disclaimers may not apply to you. To the extent that we may not, as a matter of applicable law, disclaim any implied warranty or limit its liabilities, the scope and duration of such warranty and the extent of our liability shall be the minimum permitted under such applicable law. 16. Indemnification You agree to indemnify, defend, and hold harmless Daydreams Skin and Body Therapy, and its partners, employees, advisors, officers, directors, consultants, agents, and affiliates from and against any and all third-party claims, liabilities, damages, losses, costs, expenses, fees (including reasonable attorneys’ fees and court costs) that such parties may incur as a result of or arising from (1) your Content and any information you submit, post, or transmit through our Site, (2) your use of the Site or the Daydreams Skin and Body Therapy Content, (3) your violation of these Terms, (4) your violation of any rights of any other person or entity, or (5) any viruses, trojan horses, worms, time bombs, cancelbots, spyware, or other similar harmful or deleterious programming routines input by you into the Site. 17. Intellectual Property Daydreams Skin and Body Therapy grants to you a non-exclusive right and license to reproduce the Daydreams Skin and Body Therapy Content for your personal use only. Except for the limited license granted to you in this Section 14, nothing contained on the Site, in the Daydreams Skin and Body Therapy Content, or in these Terms shall be construed as to grant any property rights, by license or otherwise, to any invention or any Daydreams Skin and Body Therapy patent, copyright, trademark, or other intellectual property rights. 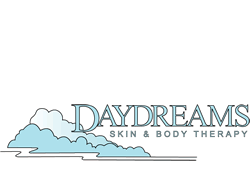 Trademarks Daydreams Skin and Body Therapy, logos and invented promotional tags are trademarks of Daydreams Skin and Body Therapy. All images, text, custom graphics, button icons, the collection and compilation and assembly thereof, and the overall look and distinctiveness of the Site constitute trade image and are the property of Daydreams Skin and Body Therapy. Any use of such trademarks, service marks, registered or pending, and/or trade image without the prior written consent of Daydreams Skin and Body Therapy is expressly forbidden. Any other trademarks or service marks appearing anywhere on this site are the property of their respective owners. Copyright The Site, the Daydreams Skin and Body Therapy Content, and all images, text, databases, software, code, sound, photos, custom graphics, button icons, the collection and compilation and assembly thereof, and the overall look and distinctiveness of the Site are the exclusive property of Daydreams Skin and Body Therapy and its licensors, and are protected by UK and international copyright laws. The Daydreams Skin and Body Therapy Content and any other content on the Site may be used for informational purposes only. Any other use of the Daydreams Skin and Body Therapy Content or such other contents on the Site without the prior written consent of Daydreams Skin and Body Therapy is expressly forbidden. The reproduction, distribution, transmission, sale, transfer, creation of derivative works, modification, public display, public performance, Publication, or any commercial exploitation of the contents of the Site or the Daydreams Skin and Body Therapy Content is expressly prohibited without the prior written consent of Daydreams Skin and Body Therapy. 18. Dispute Resolution Any claim, dispute, or controversy arising out of the Terms, the services provided on the Site, or the Daydreams Skin and Body Therapy Content (“Claims”) shall be resolved by final and binding arbitration before a single legal body. 19. General The Terms constitute the entire and exclusive and final statement of the agreement between you and Daydreams Skin and Body Therapy with respect to the subject matter hereof, and govern your use of the Site, superseding any prior agreements or negotiations between you and Daydreams Skin and Body Therapy with respect to the subject matter hereof. The Terms and the relationship between you and Daydreams Skin and Body Therapy shall be governed by the laws of the UK, without giving effect to any choice of laws or principles that would require the application of the laws of a different country. Daydreams Skin and Body Therapy’s failure to exercise or enforce any right or provision of the Terms shall not constitute a waiver of such right or provision. If any provision of the Terms is found to be invalid by either a court of competent jurisdiction or the Legal Body, you and Daydreams Skin and Body Therapy nevertheless agree that the court or the Legal Body should endeavor to give effect to your and Daydreams Skin and Body Therapy’s intentions as reflected in the provision, and that the other provisions of the Terms remain in full force and effect. You agree that regardless of any statute or law to the contrary, any claim or cause of action arising out of or related to use of the Services or the Terms must be filed within one (1) year after such claim or cause of action arose or be forever barred. The section titles in the Terms are for convenience only and have no legal or contractual effect. Sections 5 through to 16 shall survive any expiration or termination of the Terms.